What kind of adventure do you want to have at Fort Myers Beach? 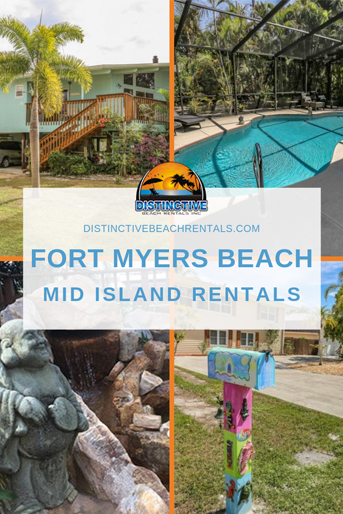 We have numerous Fort Myers Beach vacation rentals on Estero Island, which give you first-rate access into one of the Gulf coast of Florida’s top vacation destinations. Old Florida décor lines the beachside. You can dip into a cute dive bar or a lovely cottage for a wonderful drink or lunch by the water. Find top-quality seafood right from the gulf waters nearby. You can even order your food to go and picnic out on the expansive and isolated beaches of Lovers Key State Park. The food is amazing and the views are stellar! Why not try to combine the two when you visit Fort Myers Beach? Some fantastic restaurants sit right on the gulf, like Fish Tale or Matanzas on the Bay. These are some top places to eat, worthy of extra attention. After eating at a waterfront restaurant with an amazing view, walk on over to the Gulf at your leisure and watch the sun settle on the horizon, capturing that perfect picturesque moment. Look over all our Fort Myers Beach vacation homes for rent. Find the ideal fit right near some of the top attractions. We have vacation rentals near Times Square for convenient dining. Fort Myers is just the kind of place to appreciate the sunny side of Florida.